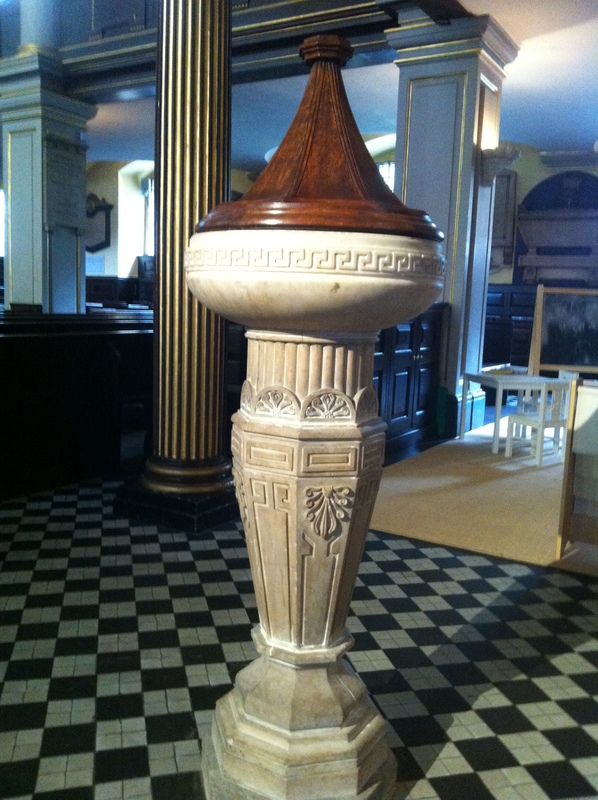 We have established that Andrew Bent was baptised in the church of St Giles-in-the-Fields, London on 24 October 1791 as the son of Andrew and Elizabeth Bent. Source: LMA P82/GIS/A/006 p. 154 Film X105/004. The present church of St Giles-in-the-Fields was built in 1733 and, but for restoration works from time to time, stands just as it was when Bent was baptised in 1791. A monastery was established on the site in the year 1101, servicing a leper colony 3 miles west of the city walls of London. St Giles-in-the-Fields is situated near the intersection of the main road traveling west of London from Newgate prison (along High Holburn extending into Tyburn Road, now Oxford Street) and the north-south axis marked by Drury Lane. Nearby landmarks include the British Museum and Bloomsbury Square (about 500 metres north-east), Covent Garden (about 500 metres south-east) and the Soho theatre district (just to the west). British Library Online Gallery: 1755 Map: Extract from the plan of the parishes or division of St Giles-in-the-Fields and St George, Bloomsbury. Richard Bent on 10 December 1797. Drury Lane carries a gravitational pull for the Bent family. They likely lived for a time in Stewart’s Rents, along from Drury Lane just to the north of the intersection with The Strand. In October 1810, Andrew Bent was apprehended in the tap room of the Sugar Loaf public house, which he frequented. The pub was located in King Street – as it then was, between and parallel with present-day Parker and Macklin Streets – off Drury Lane, further along towards St Giles. In the 1740s St Giles was described as full of common lodging houses and gin shops. Some of the great eighteenth century English artist, William Hogarth’s prints depict the poor of St Giles. His Harlot’s Progress is set in Drury Lane; Tom Nero in the Four Stages of Cruelty is a St Giles’ charity boy shown tormenting a dog near the church; Gin Street is set in the parish; and his Idle Apprentice is taken up for robbery and murder in a cellar in St Giles.